Blake defies the laws of human anatomy. He just keeps growing, and growing, and growing. The only thing that can stop him now is himself, and that doesn't look likely! I have always admired aesthetic muscular physiques like Arnold Schwarzenegger and current pros Phil Heath and Dennis Wolf. I started lifting during my freshman year of high school for football in a sports training class. I was weak at first and had problems doing simple lifts properly, but I kept with it and became obsessed with powerlifting, especially power cleaning. I started getting pretty big and strong. I lifted during training class, lunch, and after school. I didn't have much knowledge about overtraining at the time and it eventually caught up with me. I was always hurt and quit playing football due to injuries. After my freshman year, I took the summer off and started training again as a sophomore. I progressed rapidly and learned how to eat better and lean out as a junior. 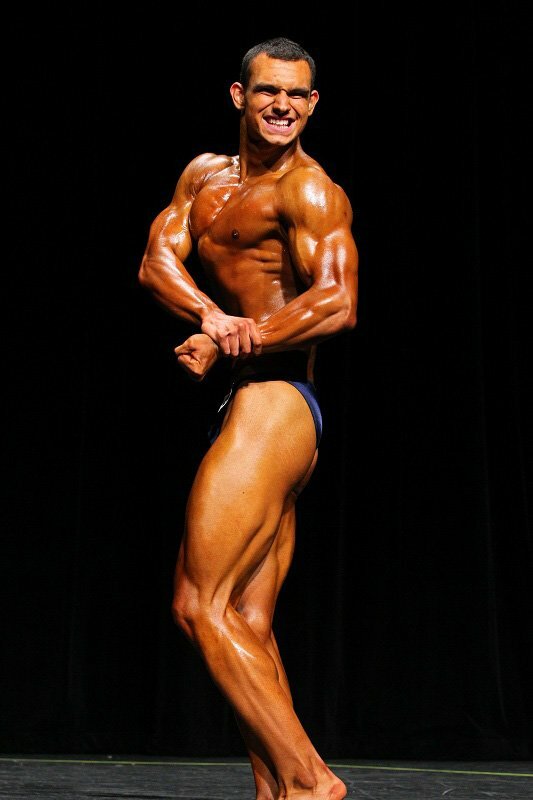 My first competition was the summer after my junior year. I didn't really know how to diet, pose, or train correctly and was unhappy with my results. I learned a lot from failure and discovered how to diet and train seriously as a senior. I met NPC bodybuilder Jamal Musbah at Gold's Gym in Gilbert, Arizona. He coached me for the Arizona Open and I looked my best ever. Results are my driving force in bodybuilding. It's fascinating how your body will evolve based on your training and eating habits. My dad has been a huge help by providing lifting and supplementation guidance. I'm also inspired by photos of pro bodybuilders, Mr. Olympia competitions, and Pumping Iron. I usually watch motivational videos of pro bodybuilders on YouTube. 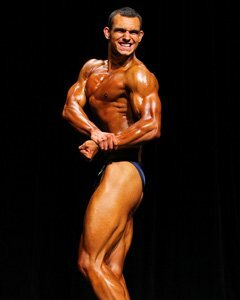 I plan to compete in the 2013 Teen Nationals. Beyond that, I'm not sure. I believe the bodybuilding lifestyle will always be with me, regardless of if I continue to compete or not. The best tip I could give anyone is to never give up. Learn from your mistakes and failures. Look back and use them to motivate you to do better next time. Progress should be your focus. Frank McGrath. He is monstrous, freaky, and aesthetic with insane vascularity. His injury and recovery story after his car accident is amazing and inspiring. I get my supplements from Bodybuilding.com and constantly view the articles.